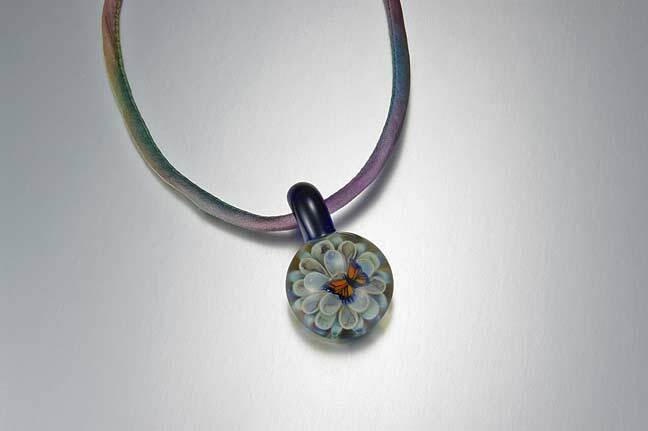 Another of the 5 piece pendant. This one has bugs made by Cris of Cris' Creations. Ready to ship now. 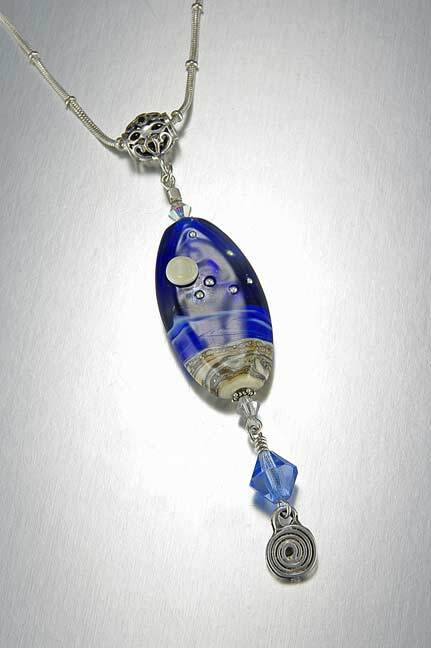 Great focal bead with the moon and the sea. 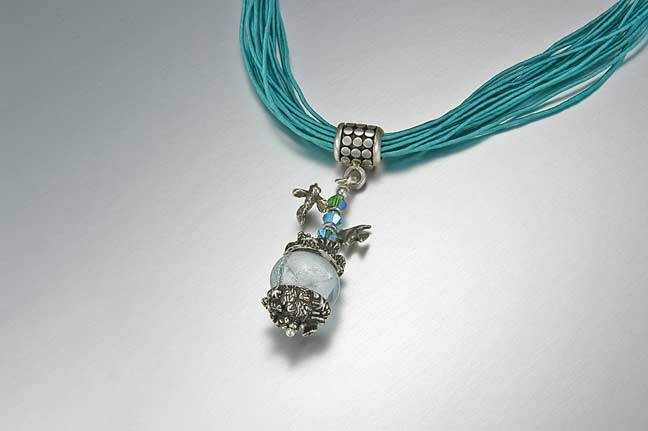 The pendant is interchangeable with any necklace. 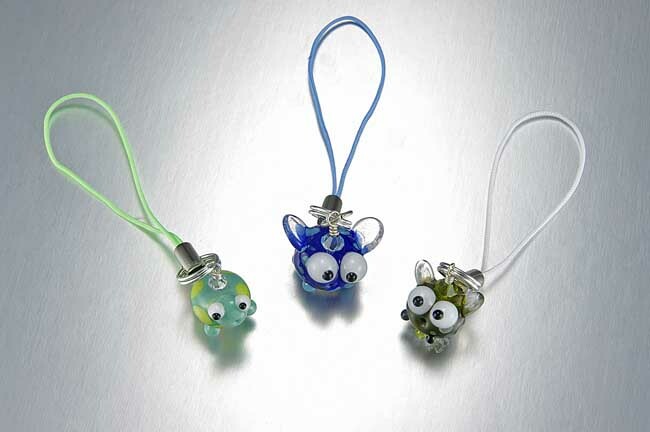 Fun beads from Rommy. 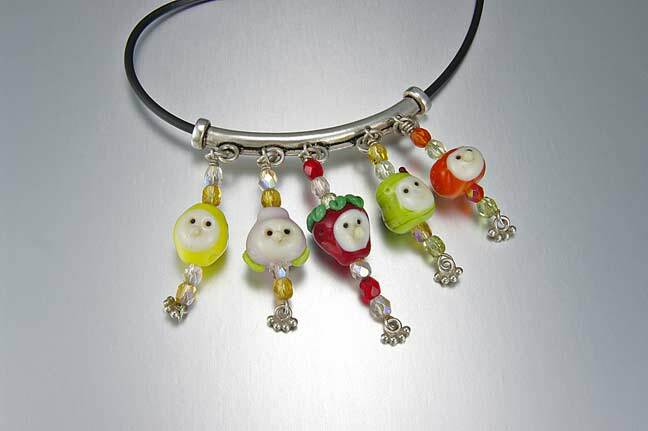 This style of pendant can be custom made with 3 - 5 of any theme you want. Another piece that was featured in my gallery show. There are many boro pendants available. Contact me for further details. Avenue Beads variation on the duck bead mounted on niobium head pin. Sold. Can make a similar one. Last one gone. 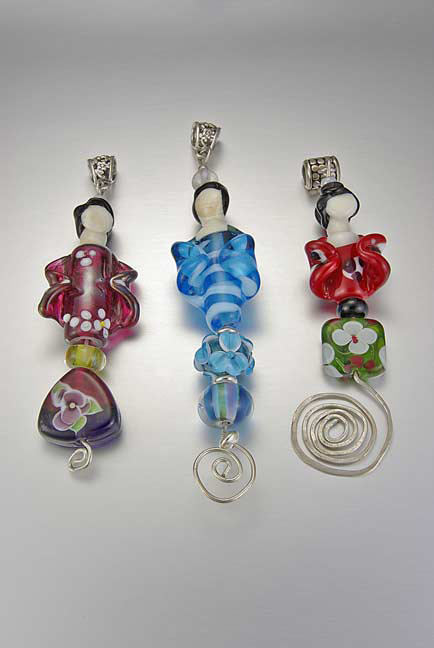 Melissa Barker's great geisha beads. Will she ever make me more?